Prevent scratches on your fifth-wheel hitch's skid plate and ease trailer hookup by installing this heavy-duty nylon lube plate. Simply slips over your 2-7/8" diameter king pin. 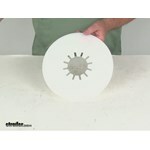 Call 800-298-8924 to order Husky accessories and parts part number HT34914 or order online at etrailer.com. Free expert support on all Husky products. Guaranteed Lowest Price and Fastest Shipping for Husky Lube Plate for 5th Wheel Trailer Hitch - 10" Diameter. Accessories and Parts reviews from real customers. Prevent scratches on your fifth-wheel hitch's skid plate and ease trailer hookup by installing this heavy-duty nylon lube plate. Simply slips over your 2-7/8" diameter king pin. Today we're going to review part number HT34914. 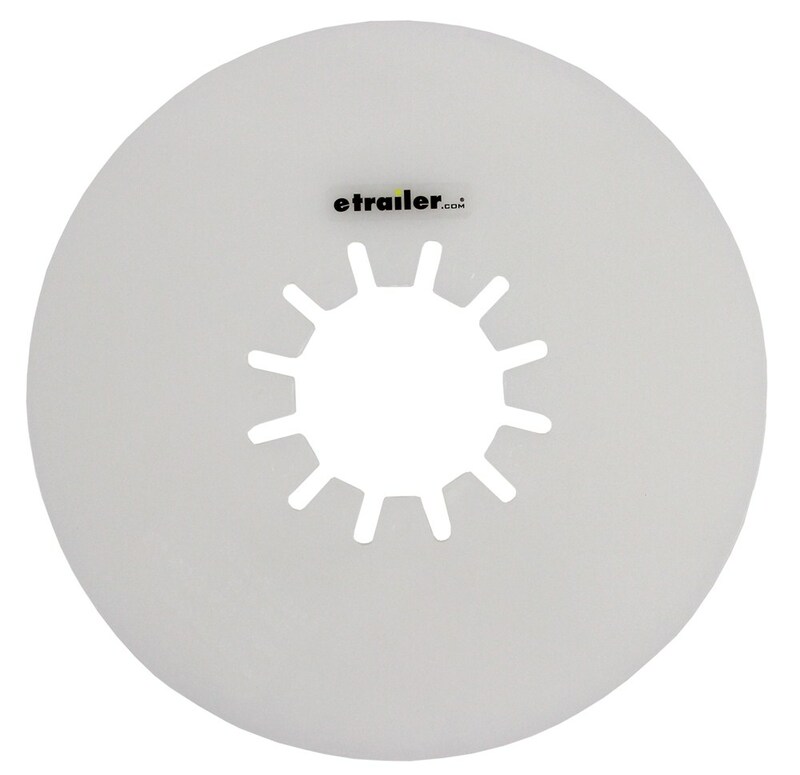 This is the Husky lube plate for fifth wheel trailer hitches in a 10 inch diameter. Now this lube plate will help prevent scratches on your fifth wheel hitch's skid plate. It allows your trailer's kingpin to slide into the hitch very easily. There's no need for any messy grease. This will give you the lubrication and protection between your pin box and your fifth wheel hitch head. It installs very easily, you just slip this over the kingpin on your pin box. It is constructed of a durable nylon material. Just to give you an idea, here's an example of what a kingpin would look like on your pin box. What would you would do is just slide this up over the kingpin and then when this drops down into the fifth wheel hitch head and locks into place, this lube plate will give you protection between your pin box. It'll actually give you lubrication and protection between your pin box and your fifth wheel hitch head. The specs on this, the diameter, overall diameter edge to edge going to be right at 10 inches, and the thickness of the plate is going to be right at 3/16 of an inch. That should do it for the review on part number HT34914. 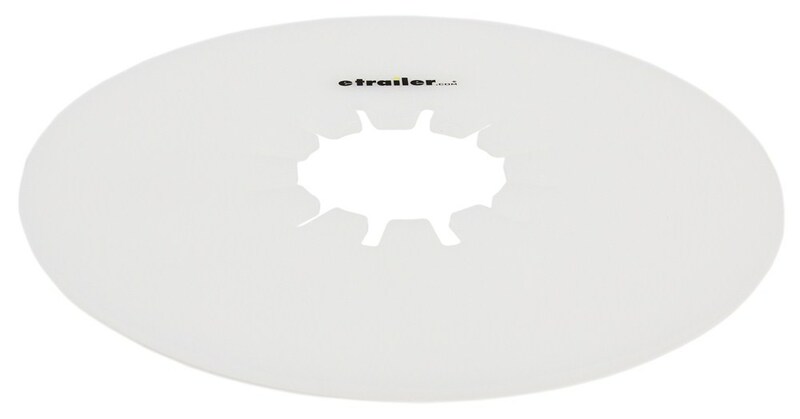 This is the Husky lube plate for the fifth wheel trailer hitch in a 10 inch diameter. .
Order: RelevanceNewestRating - High to LowRating - Low to High Prevent scratches on your fifth-wheel hitch's skid plate and ease trailer hookup by installing this heavy-duty nylon lube plate. Simply slips over your 2-7/8" diameter king pin. Excellent !!! Good service from you. When installing your new B&W Companion 5th Wheel Hitch # BWRVK3300 the only lubrication required is a light application of standard automotive chassis grease like # L11316 on the hitch jaws and the top surface of the hitch head; alternatively you can use a lube plate like # HT34914 on the king pin instead of grease on the hitch head. After about 6 months of use you will want to grease the saddle through the grease zerk fitting. Please refer to the linked instructions for more information. The instructions for HiJacker 5th wheel trailer hitch # DM8550034, linked for reference, read "It is recommended to use grease or a 3/16” maximum Teflon disc to help prevent wear on top plate surface." Curt lube plate # 16721 is 3/16 inches thick so it could be used. You could also use # HT34914 from Husky. The torque ratings for the four bolts that attach the crossbeam to the legs on the Husky Silver Series 26K W 5th Wheel Trailer Hitch part # HT31318-31325 (see photos) can be found on page 7 in the attached instructions. You may also want to consider replacing the lube plate if it is worn using the Husky Lube Plate for 5th Wheel Trailer Hitch part # HT34914. For your Demco Hijacker SL Series Flat Deck 5th Wheel Trailer Hitch # DM6076SL-FLAT you can use any diameter of lube plate, 10-inch, 11-1/2-inch or 12-inch, so long as the thickness of the plate does not exceed 3/16-inch. Good options include the Curt 12-inch # C16722 or the 10-inch Husky # HT34914. 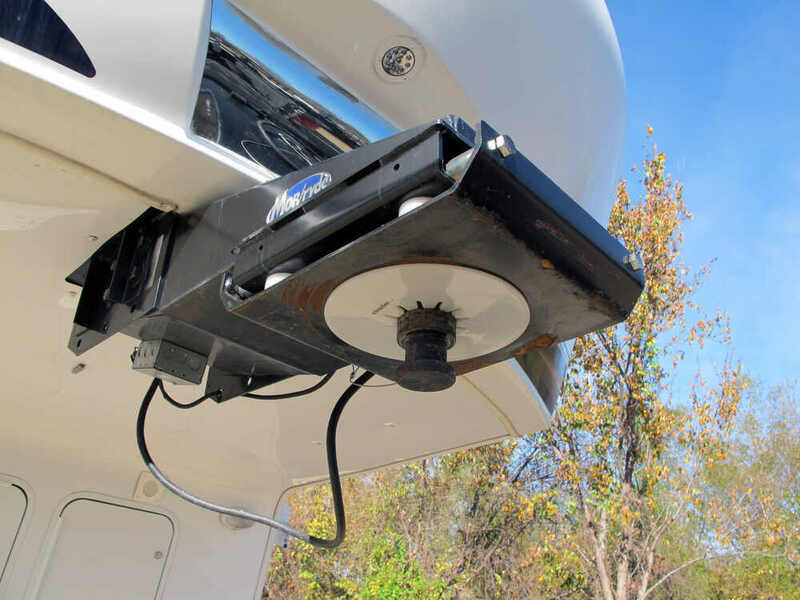 The skid plate on your B&W Companion OEM 5th-Wheel Hitch part # BWRVK3300 should have been lubed prior to hitching the trailer per the owner's manual for the unit which is attached for you. The worn powder coat is not a huge deal but there may be some accumulation of rust so you would want to spray some paint over the exposed metal and keep a fair amount of grease on it. I also recommend using a lube plate part # HT34914 as this should prevent any more material from wearing away. The Trailair Flex Air 5th Wheel Pin Box # LC328492, which replaces a Lippert 1621 pin box, has a standard 2" king pin. The Husky Lube Plate # HT34914 will still fit though as the 2-7/8" diameter referenced is talking about the upper "lip" area right under the pin box (see attached). These 2 pieces will work great with a Curt 20K 5th wheel hitch.